Landowner Dianne O’Neal generously donated a conservation easement to Scenic Hudson on 18 acres of farmland in Clermont, Columbia County. 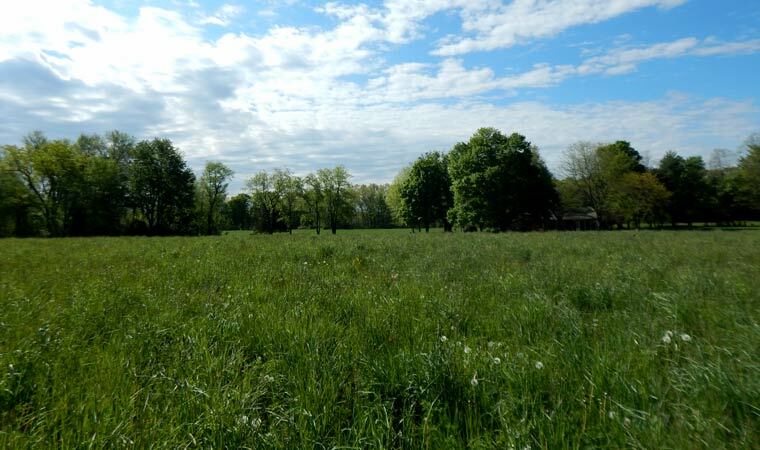 CLERMONT (COLUMBIA COUNTY)—A generous landowner has donated a conservation easement to Scenic Hudson on 18 acres of farmland in Clermont, permanently securing the parcel’s agricultural soils. The acquisition is the latest victory in Scenic Hudson’s ongoing Saving the Land That Matters Most campaign. Landowner Dianne O’Neal donated the easement on the property, nearly all of which contains prime farm soils. It currently is leased to a local farmer for hay production to serve nearby dairy operations. Scenic Hudson previously acquired conservation easements from Ms. O’Neal on three nearby parcels of farmland, all located within the rural heart of Clermont along Route 9G. In total, she has permanently protected 320 acres of high-quality agricultural land in the town. Ms. O’Neal subsequently sold two of the conserved parcels to the owners of Hearty Roots Community Farm and Gansvoort Farm, both of which supply fresh food to local and New York City markets. These acquisitions were made possible, in part, by the easements, which reduced the purchase price of the land. Scenic Hudson Land Project Manager Mike Knutson worked with Ms. O’Neal to facilitate the donation. Conserving this farmland supports the goals of Scenic Hudson’s NYC/Hudson Valley Foodshed Conservation Plan, a blueprint for ramping up collaborative farmland-protection efforts to create a secure source of fresh, local food for the Hudson Valley and New York City. “Dianne O’Neal’s commitment to protecting farmland in Clermont is truly extraordinary. She has done so much to safeguard the rural character of the town’s center and to ensure land will forever be available to support the community’s agriculture-based economy. We’re so grateful to her for generously donating an easement on these 18 acres of prime soils,” said Steve Rosenberg, executive director of The Scenic Hudson Land Trust. This transaction is part of Scenic Hudson’s collaborative campaign to Save the Land That Matters Most and supports the goals of the organization’s groundbreaking Foodshed Conservation Plan. In addition to helping farmers sustain their livelihoods and support the viability of agriculture-related businesses, this growing block of protected farmland helps secure the region’s agricultural vitality, which contributes substantially to the Hudson Valley’s $800-million agricultural and $5-billion tourism economies. Conserving farmland is a buffer against rising local property taxes: Studies have shown that farms contribute more in taxes than they consume in tax-paid services. Protected farmland also safeguards critical wildlife habitat. According to the American Farmland Trust, half of the nation’s protected species use farmland for over 80 percent of their habitat.